These forms are included on the CD that comes with How to Do Your Own Divorce in Texas. Internet Special . . . Save 25% or more! With these forms, following the instructions in our famous book, almost anyone can do their own divorce in Texas in any case where the other side does not go to court to resist you. Most of the forms are in PDF format that can be filled out and printed using the free Adobe Acrobat Reader. 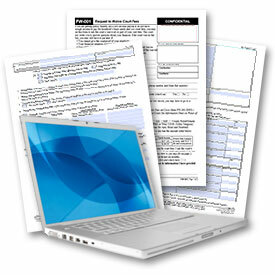 A few of the forms are in Word format and can be edited on your PC or Mac. You get all the forms that are found in “How to Do Your Own Divorce in Texas”. If you have tried but cannot find your spouse, you can serve him/her by publishing a notice in a newspaper or posting notice at the courthouse. These forms are not included in the package above, which you also need in order to complete a case. Detailed instructions are included. Both the complete set of divorce forms PLUS the complete kit for serving your spouse by publication or posting. Both of the form sets above PLUS a Marital Settlement Contract, Property Checklist, Motion to Consolidate and the Testimony Guide. Available by download only. Save 40%! Both the complete set of divorce forms PLUS the complete kit for serving your spouse by publication or posting. Save 50%! Both of the form sets above PLUS a Marital Settlement Contract, Property Checklist, Motion to Consolidate and the Testimony Guide. Available by download only.